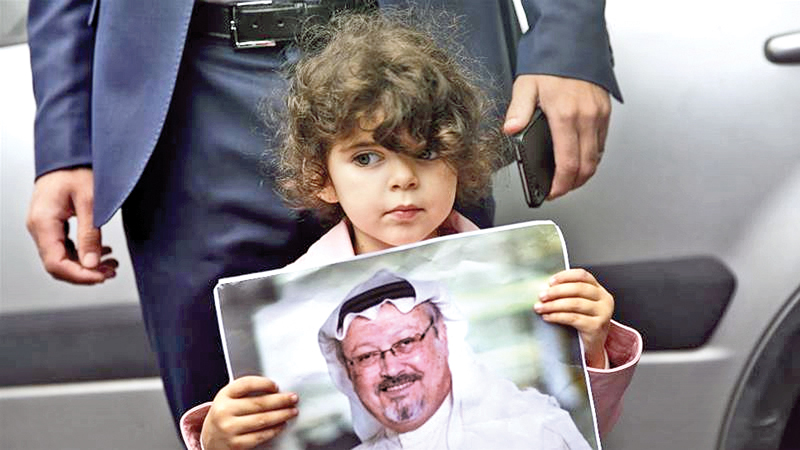 A girl holds a poster with a photo of missing Saudi writer Jamal Khashoggi during a protest. TURKEY: Turkey and the United States on Thursday ratcheted up the pressure on Saudi Arabia to explain how a journalist vanished after entering its Istanbul consulate last week, with US lawmakers warning that military ties were at risk. Jamal Khashoggi, a Saudi national whose articles have criticised Crown Prince Mohammed bin Salman, has not been seen since October 2 when he went to the consulate in Istanbul to obtain official documents for his upcoming marriage. "Is it possible there were no camera systems in a consulate, in an embassy?" he asked. "If a bird flew, or a fly or a mosquito appeared, the systems would capture this; they (Saudi Arabia) have the most cutting-edge systems," he was quoted as telling Turkish reporters.